with my intentional actions and my guided perspective. (if not more so) as nurturing others. One service to need heals an ancient wound. and inspire numbers you cannot total. One bold inspiration choreographs a dance with promise. that assure us we have the capacity to keep our promises to others. One unlikelihood entertained leads a parade of innovation. 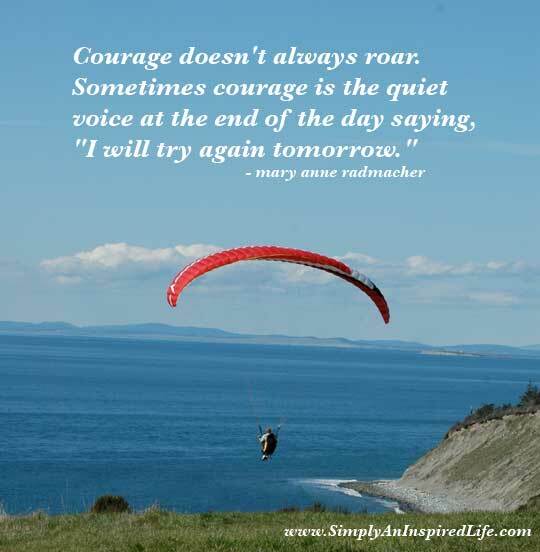 Thank you for visiting: Courage doesn't always roar. by Mary Anne Radmacher.